"This last week has been much needed," the 23-year-old from Huntington Beach, CA, captioned an Instagram photo on Wednesday of the couple holding hands and smiling. "Being able to do normal stuff (beach, dinner, trips to the grocery store) was a breath of fresh air." While Cassie and Colton, 27, have been on an exciting, wild ride together since declaring their mutual love to the world, the assistant speech pathologist has struggled to maintain her health and energy. "Even though once I stopped going 100 miles an hour, I got sick," Cassie continued in her Instagram post. "Does this happen to anyone else? I always get sick right when it's time to relax." Cassie also felt she wasn't ready to accept a marriage proposal after such a short time of dating Colton and wanted him to leave the process with the happy ending he had hoped for. Cassie obliged, met Colton's family in Spain, and then slowly fell in love with Colton in the real world once filming wrapped. 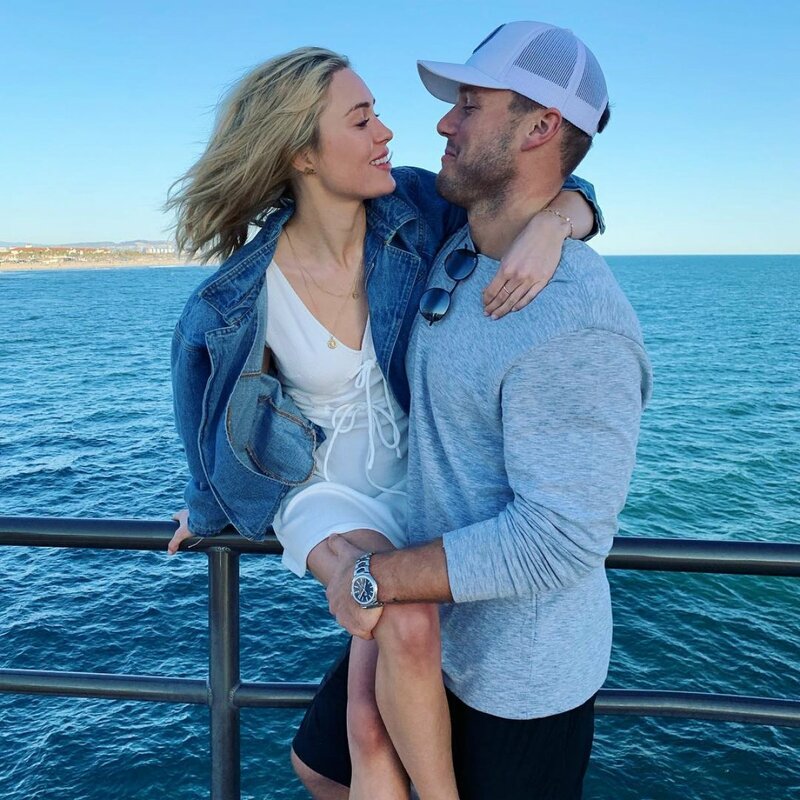 The new couple revealed their happily-ever-after ending during Part 2 of The Bachelor's 23rd season on March 12. Earlier this week, Colton gushed about how he was "so proud" of how Cassie for how she handled herself this past week. "Throughout this whirlwind of a last week you have balanced so much... from spending all 5 hours on the plane working on school work to staying up late to take quizzes with the flu... you continue to work hard and deserve everything this world has to offer," Colton captioned a photo of the couple in New York City.